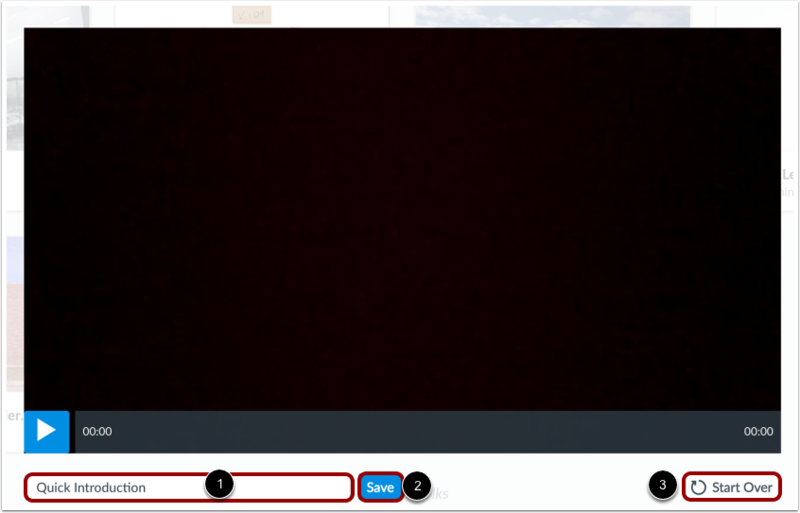 You can record a video using your webcam in Arc. Videos can be recorded from any page in your account. You can record media for any length of time, but shorter video recordings under 5 minutes long are recommended. Arc webcam capture is only supported by Chrome and Firefox browsers. If you use an unsupported browser, Arc will ask you to switch browsers. You may need to allow the browser to access your camera and microphone. For more information about how screen readers work with recording a video in Arc, please visit Accessibility within Arc. 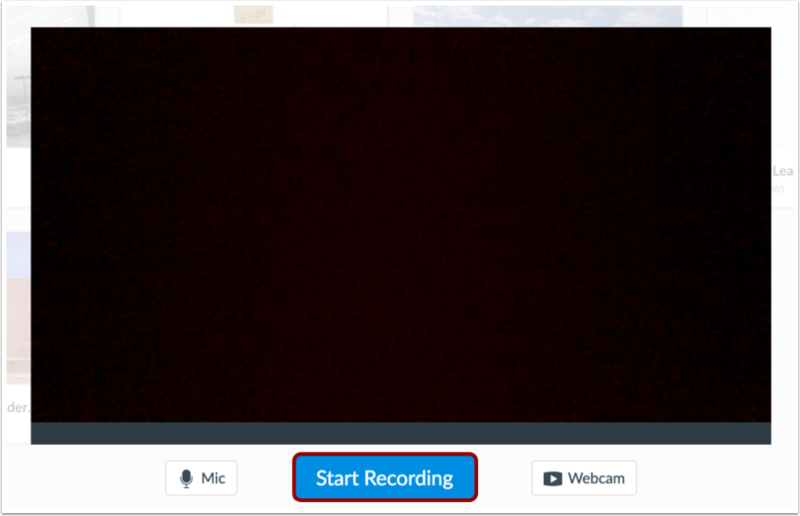 To record a video, click the Record button , then click the Webcam Capture link . 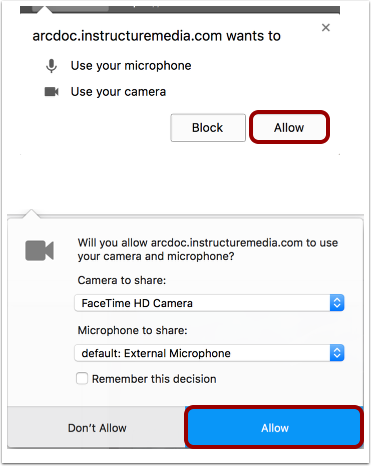 To give access to your computer's microphone and camera, click the Allow button. 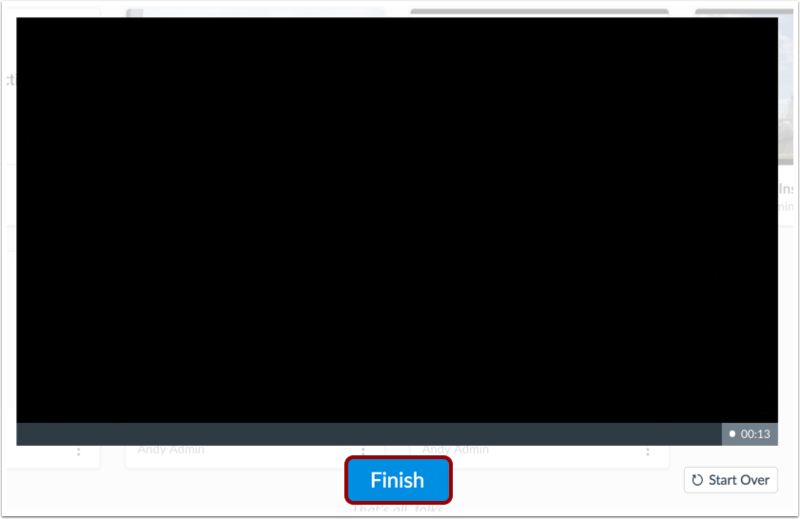 When your video recording is done, click the Finish button. View the recording. Enter a title in the title field  and click the Save button . If you want to record again, click the Start Over button . In the My Uploads page, view your video recording. Once the recording is processed, you can manage all controls and settings. Previous Topic:How do I view media in an Arc account? Next Topic:How do I record a screen capture video in an Arc account? Table of Contents > Arc Account > How do I record a video with a webcam in an Arc account? Re: Arc webcam access with a !